Your business may not involve dangerous equipment, but safety hazards exist in every work environment. In some work environments, it’s obvious why safety training and procedures must be extensive and frequently updated. Heavy equipment, potentially hazardous chemicals, and tools that operate at high temperatures necessitate extensive and constant attention to worker safety. But even if your business takes place in an air-conditioned office where the only “heavy equipment” is a copy machine and the only “high temperature tool” is a coffee pot, it’s important for everyone to be mindful of safety. Creating specific online forms and workflows for ensuring safety and documenting safety-related incidents can help ensure your workplace remains injury-free. Fire danger exists to some degree everywhere electricity is used. Frayed electrical cords, the use of space heaters, and clutter that impedes access to fire doors can turn the most innocuous office dangerous. 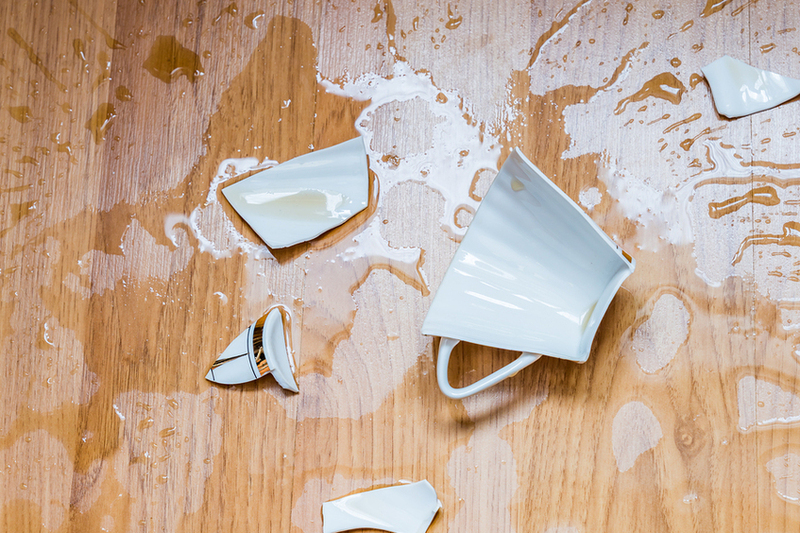 Slip and fall hazards can be created by something as minor as a spill on the floor of the office kitchen that nobody bothers to clean up (or block off while they go get cleaning supplies). It may be faster to stand on a rolling office chair rather than fetching a stepladder to reach something on a high shelf, but the dangers are obvious. And if your office has marble or tile floors, they can become surprisingly slippery in the few minutes it takes your commuters to come inside on a rainy morning. Think about it: there are many potential safety hazards in the typical office environment. If someone is injured at work, the first priority is assessing the situation and getting help if necessary. Beyond that, however, it’s important to document what happened, determine what caused the accident, and take steps to ensure that it doesn’t happen again. Online forms and safety workflows are ideal for this task. Documenting minor safety incidents helps put safety at the front of everyone’s mind and helps prevent future incidents. Documenting office accidents right away not only helps you take steps to prevent future problems, it gets everything recorded while everyone’s memories of the incident are fresh. Should the incident need to be recalled (say, by a doctor treating the person injured), documentation can show clearly what happened. In addition to creating online forms and workflows for documenting safety incidents, it’s wise to create a workflow specifically for checking the workplace for potential safety issues on a regular basis. With a mobile-friendly safety checklist form, a designated person can go through the workplace in an orderly fashion, check for potential hazards, and document issues that should be addressed, like a stack of boxes that impedes visibility. That way, some problems can be prevented altogether. If you invest in additional safety training, such as CPR training for your employees, you can create online forms for them to sign up and to verify that they have completed training. And if your workflow software has the capabilities, you can create quarterly or annual reports on safety inspections, safety incidents, and safety training with ease. PerfectForms is online form and workflow software that makes it easy to create the online forms and automated workflows you need, whether for documenting office safety procedures or just about any other business process. From onboarding new employees to equipping field workers necessary forms on their tablets to ensuring expense accounts are always up to date, PerfectForms allows you to do it all, with a user-friendly interface that requires no programming. We encourage you to watch the PerfectForms demo video. It only takes a minute, and you’re sure to come away with many great ideas for ways you can use online forms and automated workflows to streamline and improve your business processes. This entry was posted on Friday, January 25th, 2019 at 8:00 am	and is filed under Workflow, Workflow Design. You can follow any responses to this entry through the RSS 2.0 feed.